The press release is pretty scant on release details, stating only that it will be available "in the coming weeks." 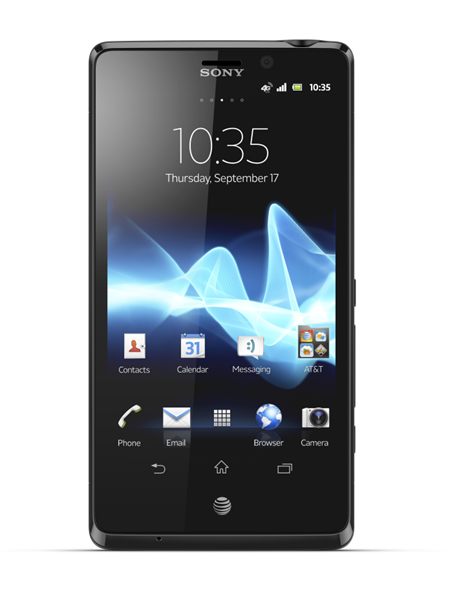 AT&T* today announced plans to offer Xperia TL, the latest Sony smartphone bringing Sony’s best HD experiences, easy connectivity with ‘One-touch’ sharing enabled by NFC (Near Field Communications) and award-winning** arc design. This 4G LTE smartphone takes connected entertainment to the next level with new Sony media applications. Photo enthusiasts will delight in the impressive images taken with Xperia TL’s 13-megapixel primary camera that brings even the smallest of details to life. This high resolution camera captures quality images swiftly with its quick launch feature, going from standby mode (sleep) to first shot in just 1.5 seconds,1 making sure life’s unexpected moments are not missed. Plus, both the rear and front-facing cameras deliver HD recording capabilities for vivid video capture on the go. 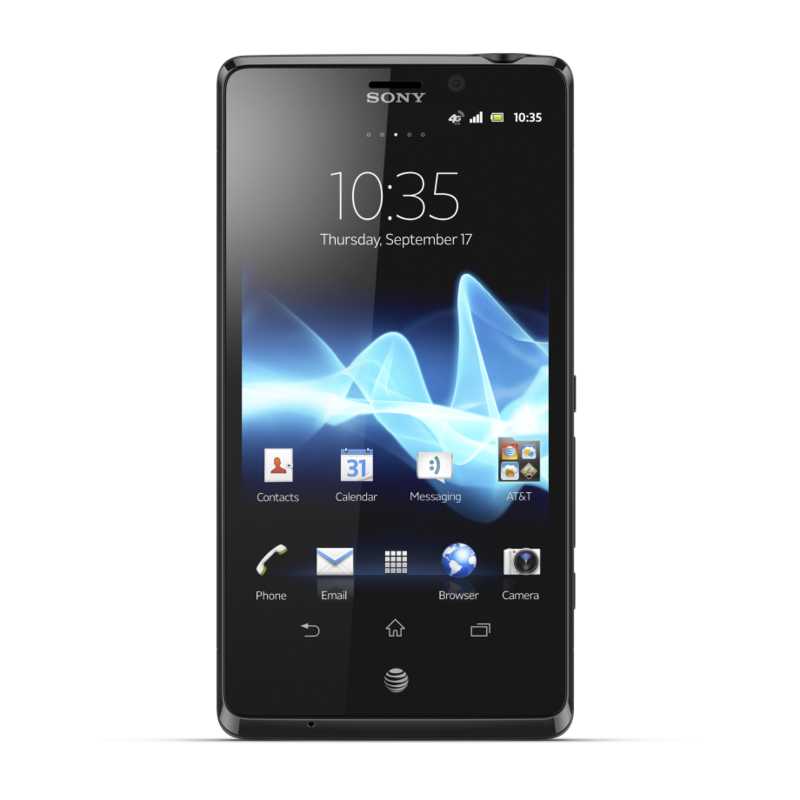 Xperia TL gives you the ultimate in HD with a superb 4.6-inch HD display (1080 x 720), powered by the Mobile BRAVIA® Engine for razor sharp clarity and brilliance. The viewing experience on Xperia TL is accentuated by a stylish, slim form factor that emphasizes the display. For those looking to take their content from their smartphone screen to the TV screen, Xperia TL connects through MHL or wirelessly through DLNA. To make enjoying content across devices even easier, Xperia TL supports ‘One-touch’ connectivity through NFC. Now, you can conveniently and instantaneously enjoy your music and photos across an array of NFC enabled devices by simply touching one to another to establish a wireless connection without a cumbersome pairing process. To get started with experiencing NFC, Xperia TL comes with one Xperia SmartTag in box. Using near field communication technology, SmartTags let you store device preferences for a variety of locations and situations – like opening and controlling volume on the music player if you head out for a run, turning on GPS and Bluetooth in the car or turning on your alarm and silencing your ringer at night. Android version 4.0.4 (Ice Cream Sandwich). Upgradable to Android version 4.1 (Jelly Bean) following launch. ***4G speeds not available everywhere. Limited 4G LTE availability in select markets. LTE is a trademark of ETSI. Learn more at att.com/network. Sony Entertainment Network services are subject to availability by region, please see www.sonyentertainmentnetwork.com for more details. 1) Facts and features may vary depending on local variant. 2) Operational times are affected by network preferences, type of SIM card, connected accessories and various activities e.g. playing games. Kit contents and colour options may differ from market to market. The full range of accessories may not be available in every market. 3) Actual size of screen is approximately 4.55”. Camera capabilities are accurate as the date of this release. Sony “make.believe” and Bravia are trademarks or registered trademarks of Sony Corporation. “PlayStation is a registered trademark or a trademark of Sony Computer Entertainment Inc. Xperia is a trademark or registered trademark of Sony Mobile Communications AB. Android™ is a trademark of Google Inc. All other trademarks or registered trademarks are property of their respective owners. Limited 4G LTE availability in select markets. 4G speeds delivered by LTE, or HSPA+ with enhanced backhaul, where available. Deployment ongoing. Compatible device and data plan required. LTE is a trademark of ETSI. Learn more at att.com/network.